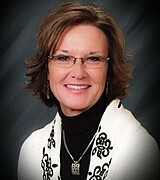 Debra Weber has been representing the real estate needs of buyers and sellers for over 12 years. Bringing a concentrated background in communications, marketing, and advertising to the table in addition to previous experience as the owner of a consulting company, Debra has the knowledge and expertise to ensure that your real estate listing will get noticed by the right buyer. Buyers will also be able to search for the perfect property with ease as she has access to the local MLS and collects pertinent data relevant to the current market. Debra specializes in working with Luxury Homes, Residential, Horse properties, ranches, land for development, and first-time homebuyers. As your Realtor, Debra promises only the highest level of professionalism., client dedication, and consistent follow through because she knows that real estate is more than just finding a home---it's a lifelong investment. Debra graduated from the University of Illinois with a bachelor's degree in communications. She has been a top selling agent with Zip Realty, Keller Williams Realty, Synergy Realty, and Broker/Owner of Debra Weber Realty.